Anheuser Busch, makers of the Budweiser brand of beers, recently unveiled its 2019 Super Bowl commercial, which features Clydesdales, wind turbines, and Bob Dylan, proclaiming that Anheuser Busch “now brews with wind power for a better tomorrow.” The renewable energy behind the ad is theThunder Ranch wind farm, a 300 MW project in north central Oklahoma in Noble, Kay and Garfield Counties, enough to power 79,000 homes. Through its investment in the Thunder Ranch wind farm, Anheuser Busch is generating enough renewable energy to power every Budweiser brewery in the U.S. According to the American Wind Energy Association (AWEA), Oklahoma ranks second among all U.S. states in wind energy production. The state’s 46 wind farms were constructed with total capital investment of $13.7 billion, which in turn produces annual land lease payments of $20 – $25 million to Oklahoma land ranchers and farmers. Wind energy provided 31.9% of all in-state electricity production in 2017, which is the equivalent amount of power to energize 2.3 million homes. 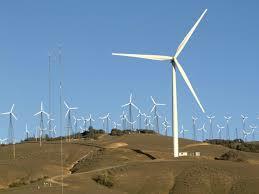 These wind farms use virtually zero water to produce electricity, which saves the state 4.9 billion gallons per year. AWEA has estimated that in 2017, wind energy was also responsible for creating 8,000 to 9,000 direct and indirect jobs supported.